Buckhill Capital participates in the Gratitude Railroad investors retreat hosted by Gratitude Railroad, an impact focused investment firm based in Park City, Utah. Gratitude Railroad hosts the yearly investor retreat to convene in actionable investment that generates impact with superior returns vision, to shift capital markets into a 21st Century mainstream model of investing goals and to open hearts and minds in a regenerative, shared experience of conscious capitalism. 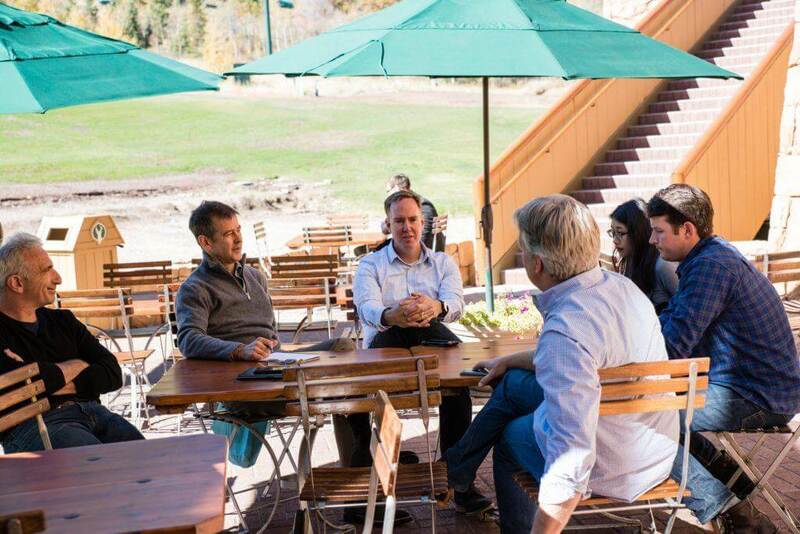 The 2018 Gratitude Retreat is designed to connect the brightest investors with thought leaders and ecosystem partners to discuss, debate and act on investment opportunities that matter. About Buckhill Capital: Founded in 1999, Buckhill Capital has been a provider of debt and equity capital to middle market companies and various funds. Buckhill Capital and related entities have made over 60 direct investments and over 20 fund investments. Buckhill Capital invests in a select group of socially responsible companies in the education, food, energy and real estate sectors. About Gratitude Railroad: Gratitude Railroad is an investment firm focused on educating, inspiring, convening and catalyzing investors and investments in for-profit, mission-driven businesses. It was founded in 2013 by Howard Fischer and Eric Jacobsen after attending the Harvard Advanced Leadership Initiative. Howard, a hedge fund CEO, and Eric, a tech entrepreneur and private equity investor, developed Gratitude Railroad to transform traditional capitalism into a force for solving critical environmental and social problems. Gratitude Railroad develops investment funds across asset classes with leading investment professionals delivering top tier returns and solving social and environmental problems. Gratitude Railroad can operate from concept through execution by partnering with leading investment professionals, helping define the investment strategy, providing seed capital for the fund, being advisors and co-investment partners. In addition to its fund incubation efforts, Gratitude Railroad makes direct investments in for-profit mission driven operating companies across stage and sector. This entry was posted in Press Releases and tagged Eric Jacobsen, Gatitude Railroad, Gratitude Railroad Investors Retreat, GRR2018, Howard Fisher.